Judging the suitability of Steppers and queuing them is really a tough task. Models from different fitness brands always had a close competition in this screening. This listing is purely based on customers feedback and reviews. ToughTrain.com have taken consideration to every minor things like price, strength, warranty, durability has been judged carefully here to prepare this list. Stamina InStride Pro Electronic Stepper is a very compact exercise equipment, weights just 20 pounds and can come into a workout bag. This electronic stepper provides resistance by the help of two hydraulic cylinders and helps to train well your calves, thighs, buttocks as well as your core. You can train your upper body like arms, chest, and back by attaching two rubber resistance tubes to the stepper. It has many useful features which makes it worth to place in number 1. The Hers MS 93 Stepper with Handle is designed to provide the user with a cardiovascular workout in a small, convenient space. This stepper is very good for muscle development, including the calves, thighs, and buttocks areas. 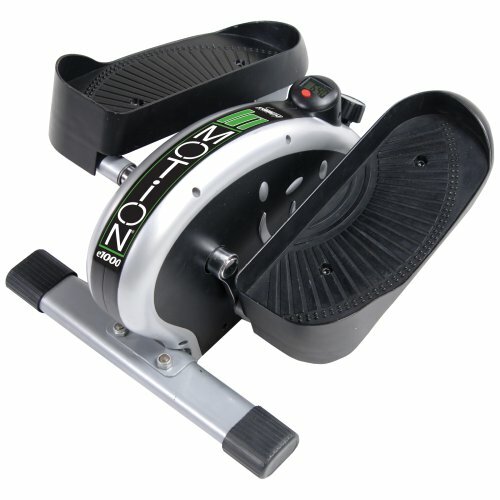 It features two large foot pedals, attached to a small base, offering you a comfortable workout. There is also a handle, extending upward from the base for stability, making it easier for the user to control movement and stay steady, but it can also reduce the effectiveness of the Stepper if you use it to hold body weight to reduce workout intensity. The Stamina SpaceMate Folding Stepper is another effective stepper for burning calories and carrying out a cardiovascular workout. 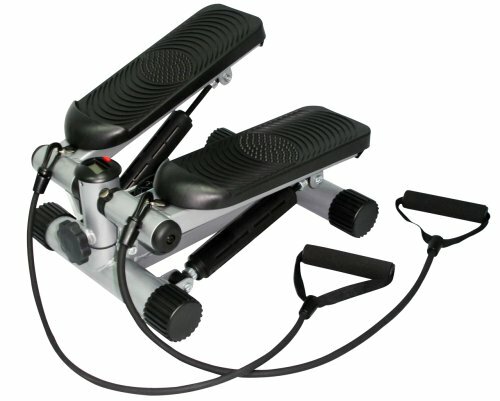 This stepper is very suitable for tonning your calves, buttocks, thighs, and hips, too. 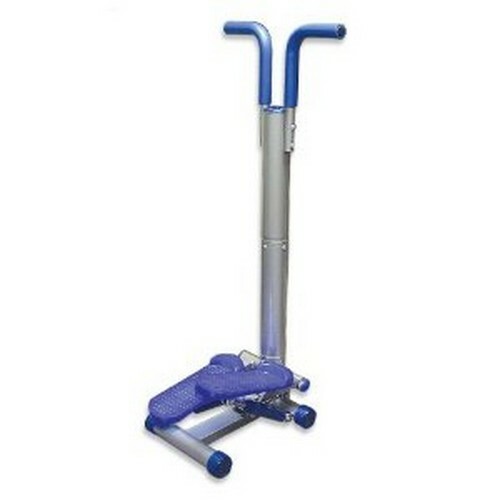 It has two adjustable hydraulic cylinders for offering a smooth stepping motion. 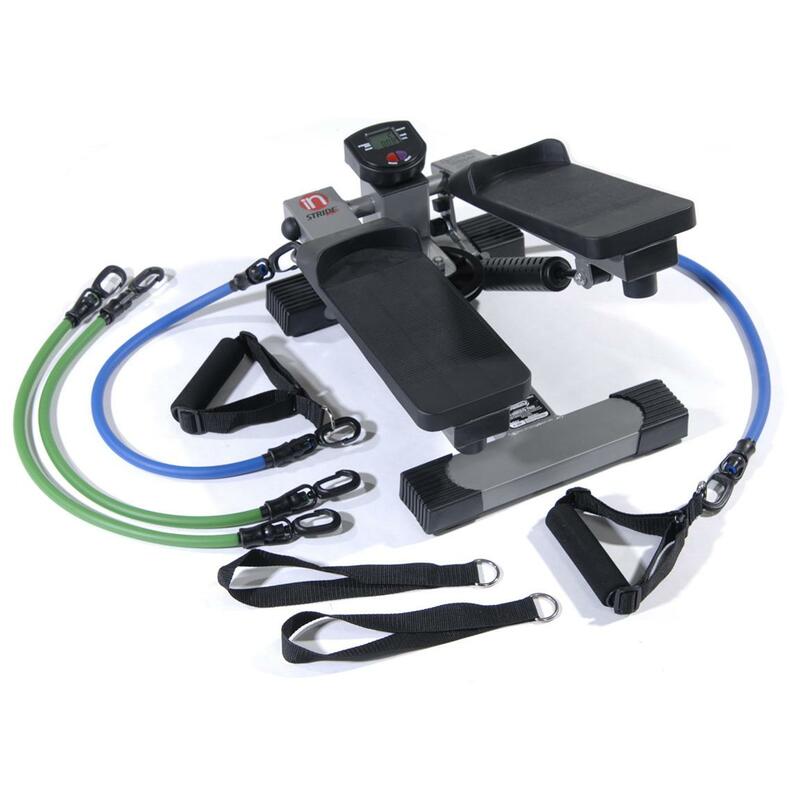 The handlebars of this stepper also are covered with foam to provide a comfortable grip while working out and available in a very reasonable price, making it worth to be listed in number 3. Sunny Health & Fitness Twister Stepper is a very worthy alternative to elliptical and perfect for anyone who is looking for a compact, versatile, and affordable piece of workout equipment. 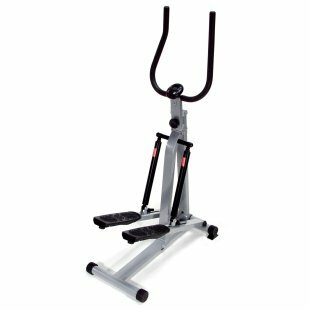 This compact exercise equipment has twisted action and is well suited for cardiovascular workouts, training specially your lower body muscles. The LCD display on this stepper will show you your total count, time, calories burned, and rep count. This stepper helps you to train both your upper and lower body It is easy to use, with a pair of dual-action arms along the top that provide upper body resistance and a pair of steps to work the lower body. The Phoenix 98107 Dual Action Mini Stepper relies on dual hydraulic cylinders and a dial adjustment system to provide the resistance. It also has a electronic monitor which shows all your workout details such as workout time, distance, step count, total number of steps, calories burned etc. There are even many other features that attracts users. 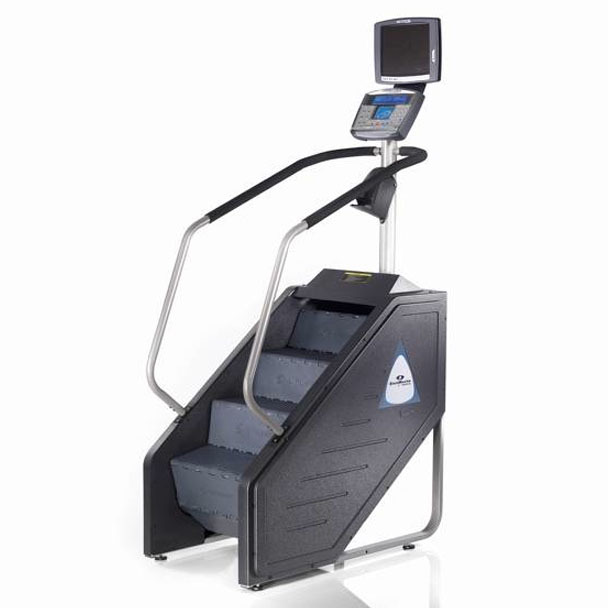 The StairMaster SM916 StepMill is a unique type of cardio equipment that may look brutal compared to others but offers a very positive and effective result. It has a revolving set of 8-inch stairs that closely duplicates the workout of actual stair climbing and step range of 24 to 162 steps per minute will strengthen your legs and boost your cardio. This stepper has plenty of workout options, with such programs as quick start, manual, fat burning, calorie burning, speed intervals, custom intervals, random intensity, heart rate intervals, calorie goal, and heart rate zone trainer. 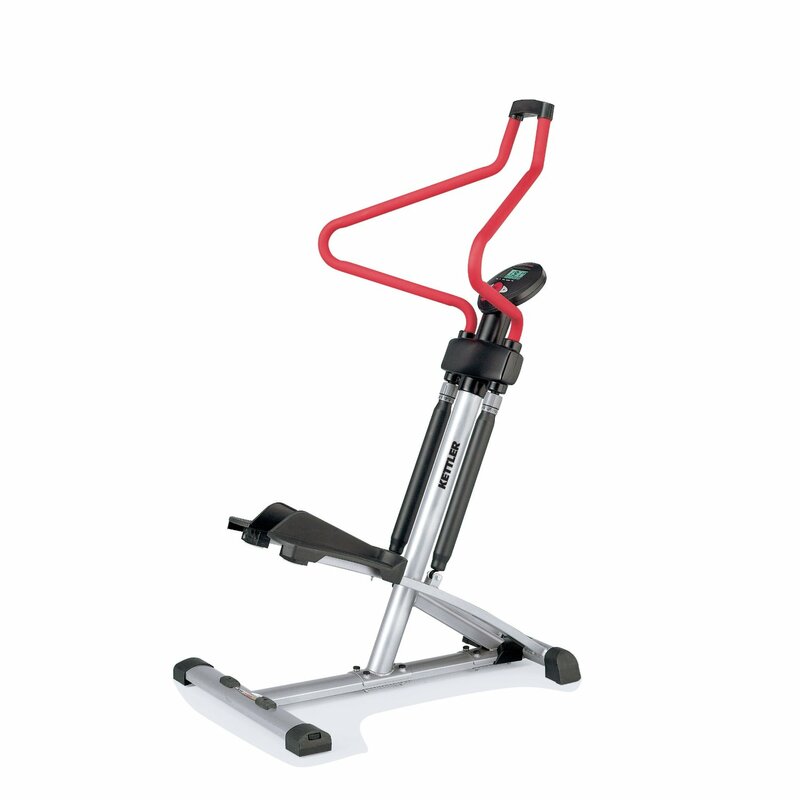 The Sunny Twister Stepper with Handle Bar has twist action, which will help you to toneyour whole body, specifically working your thighs and buttocks. 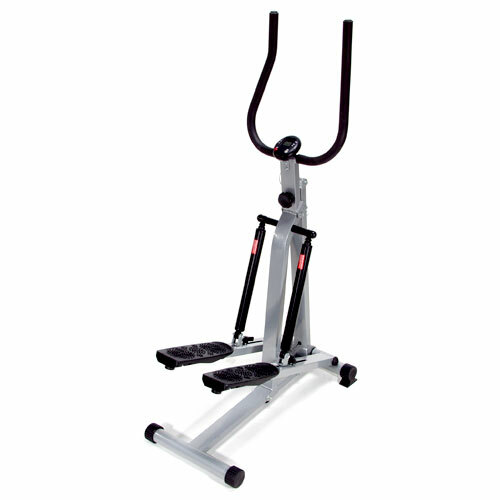 This stepper is well suited for home gym and made from heavy-duty steel, includes nonslip foot plates and also comes with attached handle bars to help you balance. It also has a LCD display, which shows you your workout time, calories burned, number of steps etc. 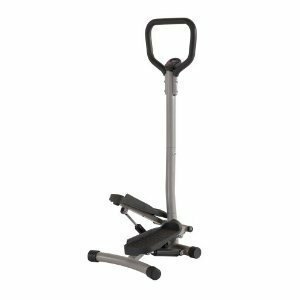 The Stamina 55-1610 InMotion E1000 Elliptical Trainer is a compact and lightweight exercise equipment to use at home or the office, and stores. It burns a similar number of calories as jogging. Since your feet never leave the pedals, there is no risk of injury to the back, knees, hips, or ankles. 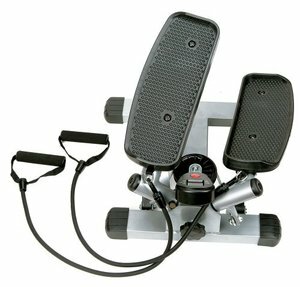 This equipments has a non-slip pedals for added safety, which also allows for forward and reverse pedaling to tone your lower body. It also has a electronic fitness monitor, which displays all you workout details like calories burned, total number of strides, number of strides per minute and your total exercise time. The new KETTLER Montana Stepper features excellent ergonomics, sturdy steel frame construction and high quality components. It will provide great aerobic benefits which will burn calories, lose weight, strengthen lower body muscles as well as improve cardiovascular wellness. The independent hydraulic pistons have easily adjustable resistance levels which allow each user to find their own ideal setting for desired speed and intensity of the workout as well as adjust to each users different body weight. The ergonomic design of this stepper ensures proper positioning and stepping movement of the body. The Sunny Health and Fitness Mini Stepper with resistance is ideal for a full-body workout. It provides a low-impact work out and is equipped with adjustable resistance so that you can match your strength. The resistance band of this stepper will work on all the important muscles needed to help you get into shape. It also features an LCD computer, that displays you your workout time, clories burned, number of steps etc. This stepper with resistance bands is an excellent piece of equipment for working out from home.